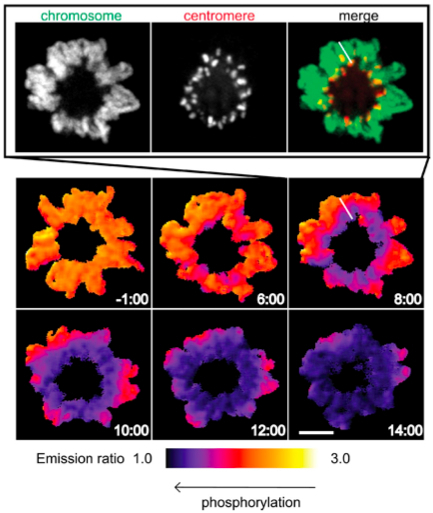 Aurora B dynamics at centromeres create a diffusion-based phosphorylation gradient. Wang E, Ballister ER, Lampson MA. J Cell Biol. 2011 Aug 22;194(4):539-49. PMID: 21844210. This entry was posted in Announcements and tagged announcement, Aurora B, biophysics, centromeres, Fluorescence Resonance Energy Transfer, Journal Club, kinase, mammalian cells, mitosis, molecular biology, phosphorylation, Science on July 20, 2012 by NateKrefman. A link between mitotic entry and membrane growth suggests a novel model for cell size control. Anastasia SD, Nguyen DL, Thai V, Meloy M, MacDonough T, Kellogg DR. J Cell Biol. 2012 Apr 2;197(1):89-104. Epub 2012 Mar 26. PMID: 22451696. This entry was posted in News and tagged announcement, cell cycle, cell size, Journal Club, membrane trafficking, membranes, mitosis, molecular biology, polarized growth, Science, signaling on July 7, 2012 by NateKrefman. 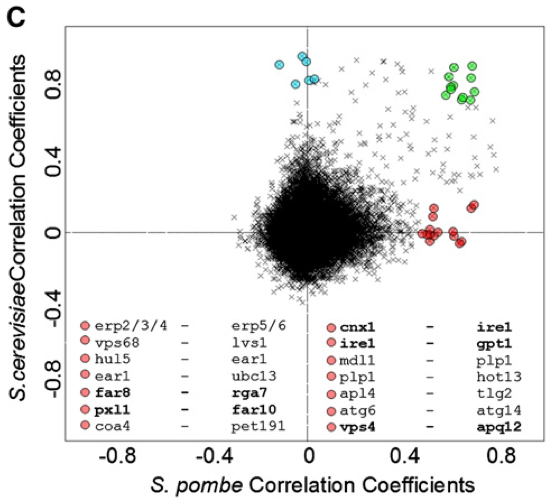 Functional Repurposing Revealed by Comparing S. pombe and S. cerevisiae Genetic Interactions. Frost A, Elgort MG, Brandman O, Ives C, Collins SR, Miller-Vedam L, Weibezahn J, Hein MY, Poser I, Mann M, Hyman AA, Weissman JS. Cell. 2012 Jun 8;149(6):1339-52. PMID: 22682253. This entry was posted in Announcements and tagged announcement, evolution, genetics, genomics, high-throughput, Journal Club, molecular biology, Science, Synthetic Genetic Array, systems biology on July 7, 2012 by NateKrefman.